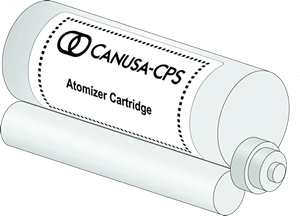 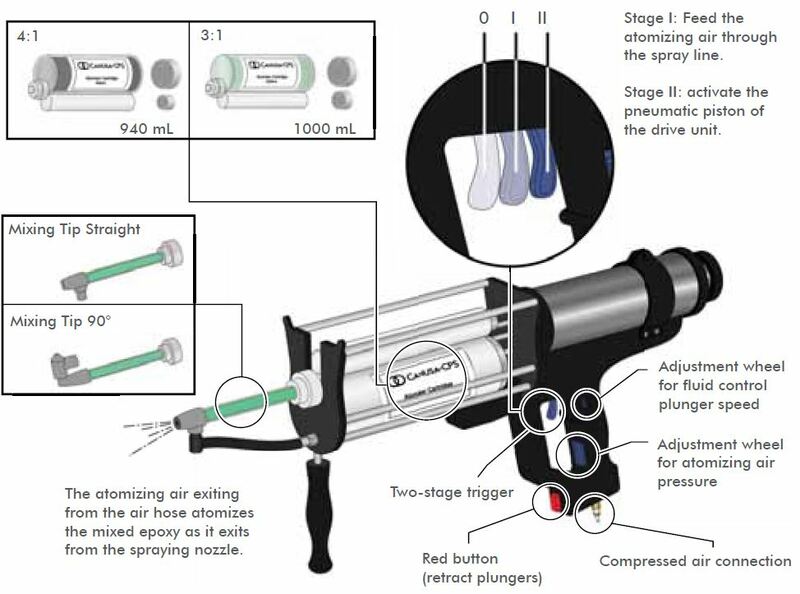 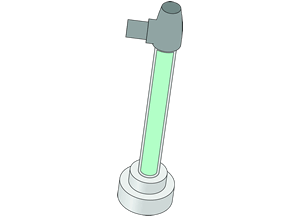 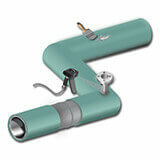 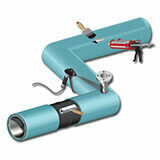 The Canusa Atomizer Gun is an advanced pneumatic dispenser designed to spray apply our 2-component HBE for standalone corrosion protection systems, and/or liquid epoxy types for 3-layer corrosion protection systems. 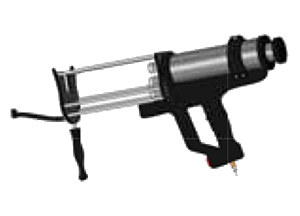 The gun is capable of applying liquid coatings faster, easier, with less clean up, less applicator error and minimal equipment maintenance versus conventional brush and spray install methods. 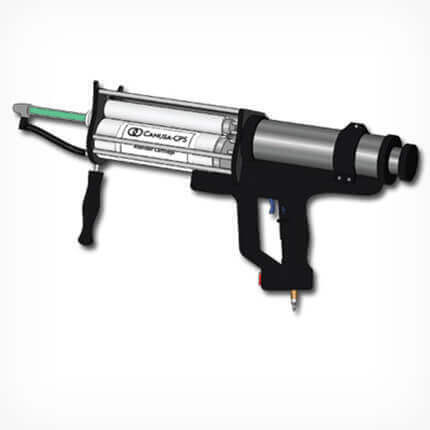 The atomizer gun and cartridge system allows applicators to produce a coating thickness that is both consistent and repeatable.